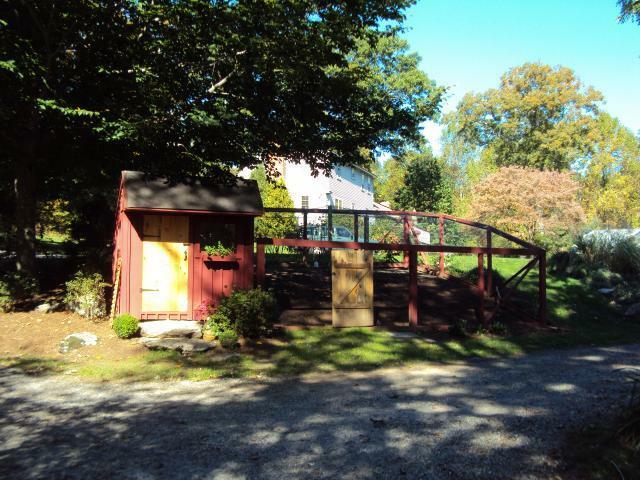 This is our coop, built this summer by my incredibly handy and extraordinarily tolerant husband ! This is Samurai (aka Sammy), Mille Fleur bantam cochin roo (from Funky Feather Farm, here on BYC) and some of his favorite ladies. 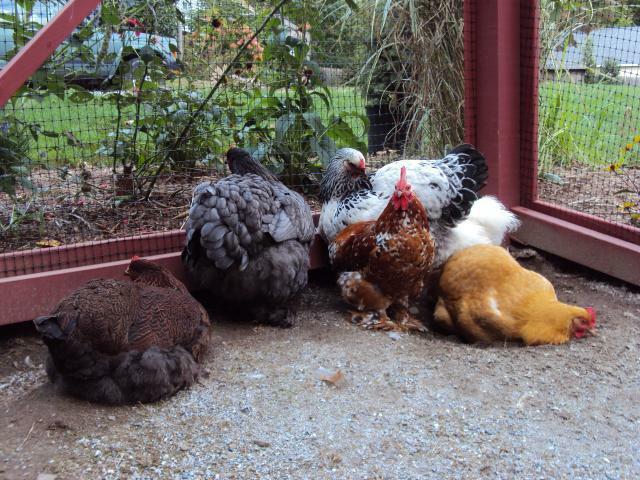 Reba (Partridge Cochin), Violet (Blue Cochin), Fiona (Light Brahma), & Penelope (Buff Orpington) all came from MyPetChicken in April 2010. 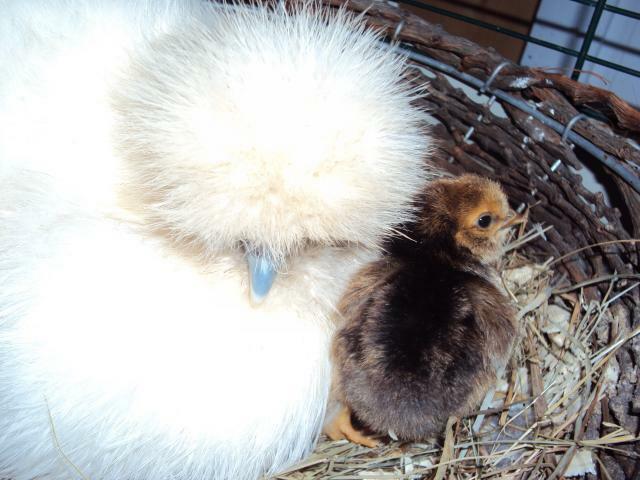 Shortly after their arrival, I picked up Ursula (White Silkie hen) at a local "Chick Day". Ursula hatched out a single chick by Sammy in August 2010. This is Marley. And here's Marley a couple months later. 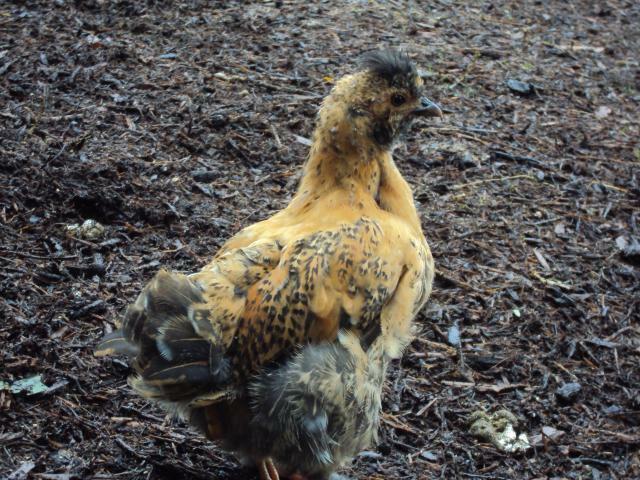 I'm pretty sure she's a pullet, and am considering hatching out a few more of these babies in the future. They make a darn cute cross! 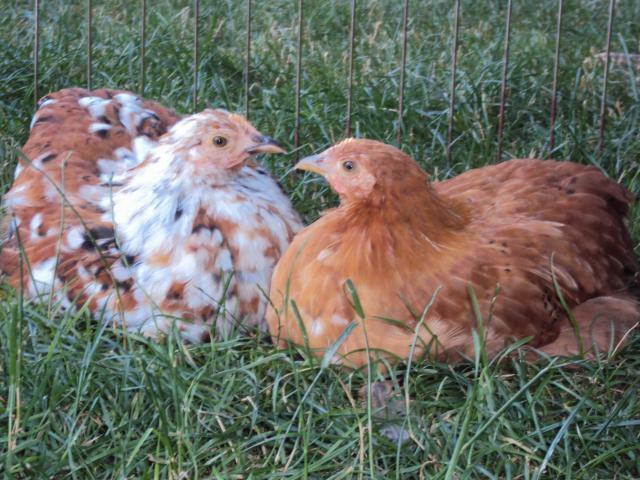 Callie & Millie (Calico/Mille Fleur hens from Funky Feathers). Little Joe is our #2 roo. 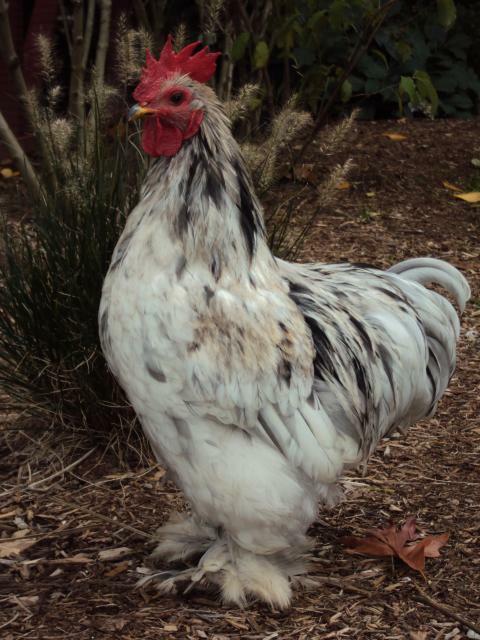 He's a Splash bantam cochin, also from Funky Feathers. He and 3 splash girls arrived with the MFC's in June 2010. And a pic of the whole gang! One big happy family!!! I'll be updating as I get new pics and as time allows, so be sure to visit again!!! 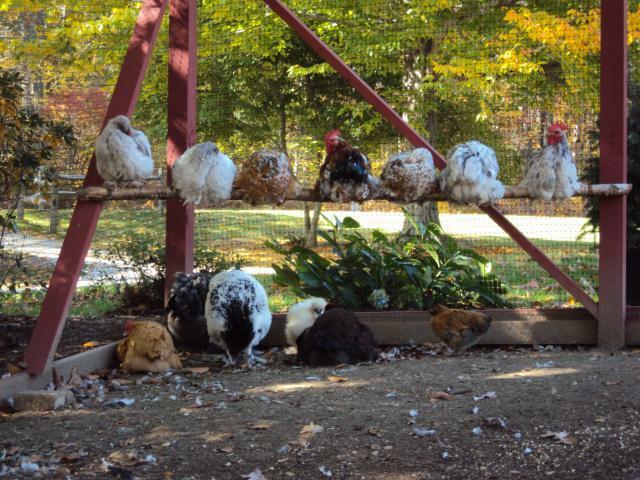 "Not a coop page, more of a flock document"
You have some gorgeous chickens! !